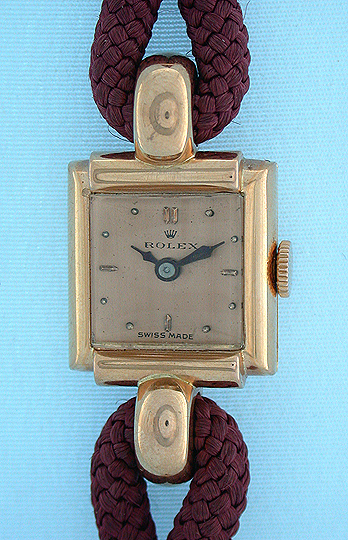 Rolex red 18K gold ladies vintage wrist watch circa 1950. 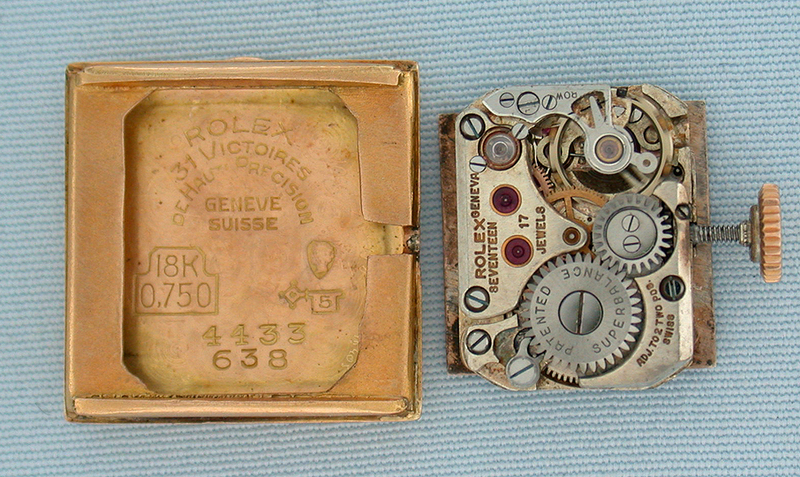 Original dial with applied markers and blued steel hands. 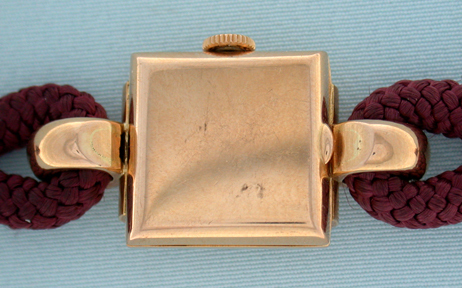 Attractive case with heavy cord band (gold filled fittings). 17 jewel 2 adjustment movement.